Words by Adriana Monk, creative director of Monk Design It was Steinway’s 150th anniversary celebration and I was keen to learn more about its instruments – I never thought I would walk out of the company’s Detroit showroom owning a 1929 grand piano. When I sat down to play the satin ebony Model M there was an immediate emotional connection, a magical moment resonating with the rich, warm tone of the Steinway sound. Taking lessons on it was incredibly satisfying. My piano was instrumental in the formation of an amateur jazz band with my fellow car designers and engineers. That was how we all weathered Detroit: music and friendship, harmony and laughter. It has since followed me around the world and decided where I live, claiming its own space. It has travelled by air in a custom crate with time-sensitive impact indicators, as well as endangered species documents, and currently commands a view of the Mediterranean in a 19th century villa. The soundboard is carved from Sitka spruce, the most resonant wood available, and the artisans who manually carve and taper its edges autograph the soundboard after installation. Aside from being a beautiful sculpture, the piano enhances my design sensibility: playing channels my energy, providing fresh perspectives. It is fascinating to think of all the stories it could tell. Hopefully, once we part company, it will live on for many more years, to be played with passion and loved for its beauty. It was Steinway’s 150th anniversary celebration and I was keen to learn more about its instruments – I never thought I would walk out of the company’s Detroit showroom owning a 1929 grand piano. When I sat down to play the satin ebony Model M there was an immediate emotional connection, a magical moment resonating with the rich, warm tone of the Steinway sound. Taking lessons on it was incredibly satisfying. My piano was instrumental in the formation of an amateur jazz band with my fellow car designers and engineers. That was how we all weathered Detroit: music and friendship, harmony and laughter. It has since followed me around the world and decided where I live, claiming its own space. It has travelled by air in a custom crate with time-sensitive impact indicators, as well as endangered species documents, and currently commands a view of the Mediterranean in a 19th century villa. The soundboard is carved from Sitka spruce, the most resonant wood available, and the artisans who manually carve and taper its edges autograph the soundboard after installation. Aside from being a beautiful sculpture, the piano enhances my design sensibility: playing channels my energy, providing fresh perspectives. It is fascinating to think of all the stories it could tell. Hopefully, once we part company, it will live on for many more years, to be played with passion and loved for its beauty. Words by Francesca Muzio, co-founder of FM Architettura d’Interni My mother bought me this chair for my desk when I was a child. I was completely fascinated by it: incredibly light, yet so resistant. As I studied architecture I came to appreciate it, and all of its nuances, even more. Today, these are the chairs that surround my dining room table. The idea of a super-light chair was developed nearly two centuries ago in the town where I was born, Chiavari, near Portofino. There are legends about the chairs being tested by throwing them out of the window. In 1957, Gio Ponti was inspired by the Chiavarina chair to design his most famous chair, the Superleggera. Ponti’s design is the result of endless experimentation — nothing was assumed. Every angle, joint and sculpted curve was carefully adjusted, and the backrest even inclines backwards, proving he had an understanding of the way the body really rests. The resulting simplicity, and weight of only 1.7kg, is anything but banal. I have a profound appreciation for lightness in design. It emphasises the people and their interactions that fill the space, rather than making the object dominant. With the Superleggera, the light is invited into the space and people are encouraged to move freely, effortlessly rearranging the chairs on a whim. To me the success of the design in the end lies in the dual respect for body and space, which is why I believe that the Superleggera is the best representation of Italian design in the world. My mother bought me this chair for my desk when I was a child. I was completely fascinated by it: incredibly light, yet so resistant. As I studied architecture I came to appreciate it, and all of its nuances, even more. Today, these are the chairs that surround my dining room table. The idea of a super-light chair was developed nearly two centuries ago in the town where I was born, Chiavari, near Portofino. There are legends about the chairs being tested by throwing them out of the window. In 1957, Gio Ponti was inspired by the Chiavarina chair to design his most famous chair, the Superleggera. Ponti’s design is the result of endless experimentation — nothing was assumed. Every angle, joint and sculpted curve was carefully adjusted, and the backrest even inclines backwards, proving he had an understanding of the way the body really rests. The resulting simplicity, and weight of only 1.7kg, is anything but banal. I have a profound appreciation for lightness in design. It emphasises the people and their interactions that fill the space, rather than making the object dominant. With the Superleggera, the light is invited into the space and people are encouraged to move freely, effortlessly rearranging the chairs on a whim. To me the success of the design in the end lies in the dual respect for body and space, which is why I believe that the Superleggera is the best representation of Italian design in the world. Words by Donald Starkey I had a very modest upbringing so it was not until my mid-teens, having started my first job as an architect’s office junior, that I first tasted a decent bottle of wine. Fortunately, I developed a taste for it and have been drinking wine ever since — it has fuelled my creative juices on many occasions. Good wines need a corkscrew; it can be so frustrating when you do not have a decent one. I have had success with the cheap, old fashioned penknife type — bottle between the knees and pull. There have been many versions designed since — mechanical, electrically operated and elaborate, such as the amazing bottle opening sculpture designed by Rob Higgs in 2006. But the one that has become my favourite is the Screwpull LM-400. It is a simple, cast engineered aluminium tubular device presented in an elegant, velvet lined black leather case. It was some 10 years ago, after we had made a successful client presentation on a 60 metre yacht project, celebrating with a glass of wine with my friend and business colleague Kevin Glancy, that the subject of corkscrews came up. We each gave our ideas of what the perfect one should be. On my next birthday Kevin presented me with a Screwpull LM-400, which has been cherished and used ever since. Practical, functional and so very simple to use, it appeals to me as good design. Placed over a standing bottle, held around the bottle top with the left hand, the lever is pulled over the top of the bottle as far as it can go with the right hand, then swung back over and the cork is free. It works every time, even through capped corks. Life would just not be the same without it. I had a very modest upbringing so it was not until my mid-teens, having started my first job as an architect’s office junior, that I first tasted a decent bottle of wine. Fortunately, I developed a taste for it and have been drinking wine ever since — it has fuelled my creative juices on many occasions. Good wines need a corkscrew; it can be so frustrating when you do not have a decent one. I have had success with the cheap, old fashioned penknife type — bottle between the knees and pull. There have been many versions designed since — mechanical, electrically operated and elaborate, such as the amazing bottle opening sculpture designed by Rob Higgs in 2006. But the one that has become my favourite is the Screwpull LM-400. 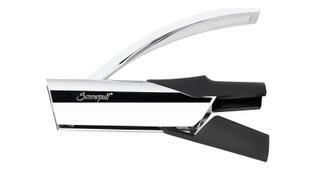 It is a simple, cast engineered aluminium tubular device presented in an elegant, velvet lined black leather case. It was some 10 years ago, after we had made a successful client presentation on a 60 metre yacht project, celebrating with a glass of wine with my friend and business colleague Kevin Glancy, that the subject of corkscrews came up. We each gave our ideas of what the perfect one should be. On my next birthday Kevin presented me with a Screwpull LM-400, which has been cherished and used ever since. Practical, functional and so very simple to use, it appeals to me as good design. Placed over a standing bottle, held around the bottle top with the left hand, the lever is pulled over the top of the bottle as far as it can go with the right hand, then swung back over and the cork is free. It works every time, even through capped corks. Life would just not be the same without it. 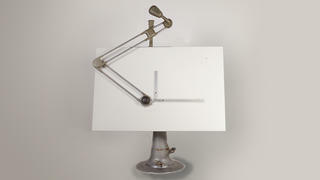 Words by Andre Hoek Design is valuable when it stands the test of time. Few manufactured items retain their design appeal for more than a few years and many quickly become outdated. Not so the Porsche 911, a genuine style icon that not only has survived for more than 50 years but is still being built to virtually the same design. For me, this is a car that looks right from all angles, is beautiful in its own right and still turns heads young and old. I have owned a Porsche Targa and presently own a 911 4S, a car that is 15 years old, but still looks like new — it could have taken shape on the drawing board yesterday. The combination of sheer power and beauty is intoxicating. Just setting eyes on these cars is always a joy and to drive them is one of the most exhilarating experiences on wheels. Performance is virtually unmatched. The Porsche 911 was for many years one of the most powerful sports cars on the road. It possesses phenomenal acceleration; it can take a corner at very high speeds and holds the road like a limpet. The combination of brilliant styling and engineering to produce an adrenalin-pumping performance is worthy of considerable respect. Few 54-year-old designs have achieved that. I am not a car fanatic but I do appreciate design that is timeless and works for the end user. I like to think that the design work emanating from Hoek Design produces yachts with genuinely appealing looks that will still melt the heart in 50 years’ time. The pleasure derived from owning a thing of beauty is something upon which one cannot put a price. But it is fair to say that brilliant design will always hold its value. The Porsche 911 is evidence of that. Design is valuable when it stands the test of time. Few manufactured items retain their design appeal for more than a few years and many quickly become outdated. Not so the Porsche 911, a genuine style icon that not only has survived for more than 50 years but is still being built to virtually the same design. For me, this is a car that looks right from all angles, is beautiful in its own right and still turns heads young and old. I have owned a Porsche Targa and presently own a 911 4S, a car that is 15 years old, but still looks like new — it could have taken shape on the drawing board yesterday. The combination of sheer power and beauty is intoxicating. Just setting eyes on these cars is always a joy and to drive them is one of the most exhilarating experiences on wheels. Performance is virtually unmatched. 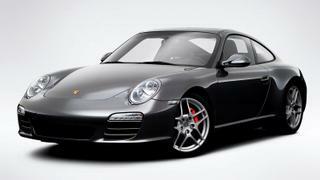 The Porsche 911 was for many years one of the most powerful sports cars on the road. It possesses phenomenal acceleration; it can take a corner at very high speeds and holds the road like a limpet. The combination of brilliant styling and engineering to produce an adrenalin-pumping performance is worthy of considerable respect. Few 54-year-old designs have achieved that. I am not a car fanatic but I do appreciate design that is timeless and works for the end user. I like to think that the design work emanating from Hoek Design produces yachts with genuinely appealing looks that will still melt the heart in 50 years’ time. The pleasure derived from owning a thing of beauty is something upon which one cannot put a price. But it is fair to say that brilliant design will always hold its value. The Porsche 911 is evidence of that. Words by Steve Gresham When I first set up my design business in 1989, I acquired a Nike industrial drafting table, made in the Swedish town of Eskilstuna in the 1950s. I have used this table every day I’ve been in my studio for the past 27 years — I estimate that I’ve spent in excess of 30,000 hours sitting at it. It came from the Alvis Car and Engineering Company, which made cars and armoured vehicles. When the factory closed, the board was on its way to being scrapped. I spied it in a workshop, half wrapped in a tarpaulin and covered in dust. I was told that if I didn’t take possession it would be in the skip that afternoon. I couldn’t believe that such a fine piece could not have a value, and I’m so glad I rescued it. The physical act of drawing on paper is an integral part of the design process — I do my thinking at the drafting table as I develop the design, analysing and refining seamlessly. Even as computer technology gets more impressive, the information still has to come from the designer. I do use computers, but I use my laptop sitting at my drawing board. The board moves in all directions, thanks to a hydraulic central leg, so that I can get a different perspective of my work — I can tilt the board to the vertical and stand back to check the proportions of a new design without having to pin the drawing to a wall. Having such a generously sized board means that I can fit a 120 metre yacht at a scale of 1:100 – with room to spare. In fact, I could fit a 150 metre yacht but any bigger and I would need to reduce the scale because I couldn’t replace this old friend. I just love it as an object and piece of engineering. When I first set up my design business in 1989, I acquired a Nike industrial drafting table, made in the Swedish town of Eskilstuna in the 1950s. I have used this table every day I’ve been in my studio for the past 27 years — I estimate that I’ve spent in excess of 30,000 hours sitting at it. It came from the Alvis Car and Engineering Company, which made cars and armoured vehicles. When the factory closed, the board was on its way to being scrapped. I spied it in a workshop, half wrapped in a tarpaulin and covered in dust. I was told that if I didn’t take possession it would be in the skip that afternoon. I couldn’t believe that such a fine piece could not have a value, and I’m so glad I rescued it. The physical act of drawing on paper is an integral part of the design process — I do my thinking at the drafting table as I develop the design, analysing and refining seamlessly. Even as computer technology gets more impressive, the information still has to come from the designer. I do use computers, but I use my laptop sitting at my drawing board. The board moves in all directions, thanks to a hydraulic central leg, so that I can get a different perspective of my work — I can tilt the board to the vertical and stand back to check the proportions of a new design without having to pin the drawing to a wall. Having such a generously sized board means that I can fit a 120 metre yacht at a scale of 1:100 – with room to spare. In fact, I could fit a 150 metre yacht but any bigger and I would need to reduce the scale because I couldn’t replace this old friend. I just love it as an object and piece of engineering. Words by Mark Tucker, founder of Design Unlimited As a poverty-stricken art student, I paid silly money, borrowed from my dad, to get my hands on the Olympus OM-1n. It was my absolute dream purchase. I loved everything about this single lens reflex camera, and still do. It had everything: the looks, the textured finish, the perfect weight, the right balance in my hands and ergonomic functional controls. And the Leica lenses were interchangeable, making it extremely flexible. It felt so good to use – and use it I did, extensively. But how photography has changed 30 years on. Then it was all about looking through the lens, playing with the aperture, exposure, shutter speed and making a deeply considered decision as to whether it was the right shot to take or not. Developing the film in a dark room and seeing the image so caringly captured come to life was pure alchemy. Now luxury smartphones, throwaway shots and Photoshop editing have changed this art form in its entirety. I’m no Luddite, but there was a certain romance associated with “real” photography. There’s a feeling evoked using the old methods that cannot be captured with the latest technology. It’s the understanding of the space around you; making something that elicits a unique feeling in the viewer, both of which I have tried to harness during my many years of yacht design. And the ease of use of the OM-1n, with all its innovative features, is something else that’s reflected in our studio’s design process. Earlier this year, I vowed to put my old OM-1n to good use. It took two months just to track down the batteries – from the US. Now it’s time to set up the dark room once again. 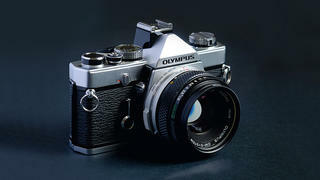 As a poverty-stricken art student, I paid silly money, borrowed from my dad, to get my hands on the Olympus OM-1n. It was my absolute dream purchase. I loved everything about this single lens reflex camera, and still do. It had everything: the looks, the textured finish, the perfect weight, the right balance in my hands and ergonomic functional controls. And the Leica lenses were interchangeable, making it extremely flexible. It felt so good to use – and use it I did, extensively. But how photography has changed 30 years on. Then it was all about looking through the lens, playing with the aperture, exposure, shutter speed and making a deeply considered decision as to whether it was the right shot to take or not. Developing the film in a dark room and seeing the image so caringly captured come to life was pure alchemy. Now luxury smartphones, throwaway shots and Photoshop editing have changed this art form in its entirety. I’m no Luddite, but there was a certain romance associated with “real” photography. There’s a feeling evoked using the old methods that cannot be captured with the latest technology. It’s the understanding of the space around you; making something that elicits a unique feeling in the viewer, both of which I have tried to harness during my many years of yacht design. And the ease of use of the OM-1n, with all its innovative features, is something else that’s reflected in our studio’s design process. Earlier this year, I vowed to put my old OM-1n to good use. It took two months just to track down the batteries – from the US. Now it’s time to set up the dark room once again. Words by Peder Eidsgaard, founder of Eidsgaard Design I have always loved convertible cars, with space for four. Take three friends with you on that sunny drive and it feels like you’re on a boat trip in the countryside. Or take the whole family. A large convertible is not ‘daddy’s thing’, it is everyone’s thing. 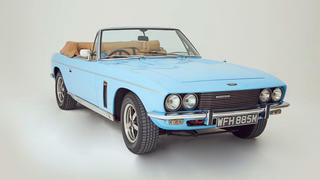 My favourite is the Jensen Interceptor Series III Convertible. The body is long and sleek, with crisp lines and understated detailing. The side vent aft of the front wheel is typically there for a purpose: the enormous V8 engine is constantly blowing very hot air out of there, and the louvres in the bonnet are real. The windscreen is tall and honest, protecting the passengers in the sumptuous and spacious cockpit. I even like the car when the hood is up. In spring 2015, my wife Ewa and I finally came across an Interceptor with the right spec, in Switzerland, and bought it. Mid-life crisis had finally arrived. The car dates from December 1973; it is the first of the 509 that were built. Initially I thought we would repaint it in a grey metallic but, after seeing the colour in the sun, we fell in love with it. The unusual powder blue was applied by previous owner Frederick Forsyth, the author wanting his Interceptor to be the same colour as the car in the film of The Day of the Jackal. While yachts and cars are deemed to be female, we all like them to have a certain presence and muscle, too. For me, the Interceptor combines feline elegance and pure simplicity, with spades of muscle. In essence the Interceptor’s design is what I try to achieve with Eidsgaard’s yacht exteriors: efficient packaging with beautiful proportions, and a unique theme that is applied with care and consistency. I have always loved convertible cars, with space for four. Take three friends with you on that sunny drive and it feels like you’re on a boat trip in the countryside. Or take the whole family. A large convertible is not ‘daddy’s thing’, it is everyone’s thing. My favourite is the Jensen Interceptor Series III Convertible. The body is long and sleek, with crisp lines and understated detailing. The side vent aft of the front wheel is typically there for a purpose: the enormous V8 engine is constantly blowing very hot air out of there, and the louvres in the bonnet are real. The windscreen is tall and honest, protecting the passengers in the sumptuous and spacious cockpit. I even like the car when the hood is up. In spring 2015, my wife Ewa and I finally came across an Interceptor with the right spec, in Switzerland, and bought it. Mid-life crisis had finally arrived. The car dates from December 1973; it is the first of the 509 that were built. Initially I thought we would repaint it in a grey metallic but, after seeing the colour in the sun, we fell in love with it. The unusual powder blue was applied by previous owner Frederick Forsyth, the author wanting his Interceptor to be the same colour as the car in the film of The Day of the Jackal. While yachts and cars are deemed to be female, we all like them to have a certain presence and muscle, too. For me, the Interceptor combines feline elegance and pure simplicity, with spades of muscle. In essence the Interceptor’s design is what I try to achieve with Eidsgaard’s yacht exteriors: efficient packaging with beautiful proportions, and a unique theme that is applied with care and consistency. Words by Dickie Bannenberg, founder of Bannenberg & Rowell It’s perhaps a bit weird to profess undying admiration for a shelving system. It smacks of OCD, or possibly latent librarian tendencies, neither of which I believe I have. The truth is that I simply love Vitsœ shelving. I love its purity and simplicity of form: a sheet of pale grey painted steel folded into an uncomplicated shape, perfect for storing books, piles of drawings, model cars (and boats), trophies and things you just like to have near you. Of course, there are fancier options to slot into the system: sloping display shelves, flush-fronted drawers with neat cut-outs for a finger-pull, even a minimal desk that cantilevers out and sits on a single, carefully considered leg. I first came across it in the south London home Richard Rogers designed for his parents in the 1960s and now I have Vitsœ at home and in the studio. It can travel with you if you move – Vitsœ sends some operatives with white gloves to dismantle it carefully and put it together again. All the small fiddly bits go into a soft drawstring bag. Dieter Rams, who designed it, pronounced as one of his 10 rules that “good design is as little design as possible”. It’s a good mantra - less is more - and it accords with our outlook on design; we are not ones for unnecessary elaboration. It’s possible that there was some subliminal path to Vitsœ set out by my father [Jon Bannenberg]. At home in the late 1960s and early 70s he made his own shelving system (of course), consisting of wall-mounted tracks with slot-in brackets and simple slabs of wood for shelves. He would have loved the purity of Vitsœ’s system, so I’m not sure why he didn’t go with that. I bet it was impatience in not being able to have it instantly. 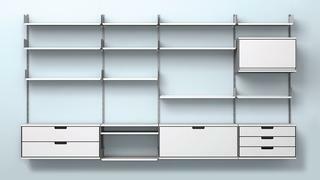 It’s perhaps a bit weird to profess undying admiration for a shelving system. It smacks of OCD, or possibly latent librarian tendencies, neither of which I believe I have. The truth is that I simply love Vitsœ shelving. I love its purity and simplicity of form: a sheet of pale grey painted steel folded into an uncomplicated shape, perfect for storing books, piles of drawings, model cars (and boats), trophies and things you just like to have near you. Of course, there are fancier options to slot into the system: sloping display shelves, flush-fronted drawers with neat cut-outs for a finger-pull, even a minimal desk that cantilevers out and sits on a single, carefully considered leg. I first came across it in the south London home Richard Rogers designed for his parents in the 1960s and now I have Vitsœ at home and in the studio. It can travel with you if you move – Vitsœ sends some operatives with white gloves to dismantle it carefully and put it together again. All the small fiddly bits go into a soft drawstring bag. Dieter Rams, who designed it, pronounced as one of his 10 rules that “good design is as little design as possible”. It’s a good mantra - less is more - and it accords with our outlook on design; we are not ones for unnecessary elaboration. It’s possible that there was some subliminal path to Vitsœ set out by my father [Jon Bannenberg]. At home in the late 1960s and early 70s he made his own shelving system (of course), consisting of wall-mounted tracks with slot-in brackets and simple slabs of wood for shelves. He would have loved the purity of Vitsœ’s system, so I’m not sure why he didn’t go with that. I bet it was impatience in not being able to have it instantly. 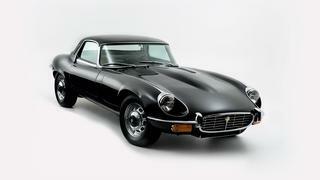 Words by Tim Heywood When the E-Type Jaguar first hit the streets, it was as if a spaceship had landed. Cars on the roads in 1961 were mostly boxy designs and the E was a revelation. I saw my first in-the-flesh E-Type while cycling to school. In the words of Enzo Ferrari it was “the most beautiful car ever made”, and I still agree. The fluid aerodynamic lines – penned by aircraft and car designer Malcolm Sayer – I find feminine, seductive and tactile. The addition of the flared wheel-arches in 1971, to accommodate wider wheels and tyres, added a sharp finishing detail that completes a more considered, well worked, look. I bought my 1973 Series 3 E in 1996 at an auction in London - she had been an export car to Australia, brought back by an English aristocrat who kept her on his estate and never put her on the road in the UK. The first time I washed her, the aristo’s coat of arms peeled off. I have reinstated the original Series 1 headlight covers and proper knock-off hubs. She is a great car to drive: comfortable, tight, responsive and fun. People stop on major roads to let you out of the side streets; every British driver is proud of this car. It is hard to stop smiling when behind the wheel and that feeling is infectious. I am sure my fondness for this design has permeated my own work, where fluid, athletic, feminine forms lie alongside hard, crisp details. From Pelorus to Event to Symphony I can feel and see the influence. Malcolm Sayer’s creation is alive and well, both in my garage and in my work. When the E-Type Jaguar first hit the streets, it was as if a spaceship had landed. Cars on the roads in 1961 were mostly boxy designs and the E was a revelation. I saw my first in-the-flesh E-Type while cycling to school. In the words of Enzo Ferrari it was “the most beautiful car ever made”, and I still agree. The fluid aerodynamic lines – penned by aircraft and car designer Malcolm Sayer – I find feminine, seductive and tactile. The addition of the flared wheel-arches in 1971, to accommodate wider wheels and tyres, added a sharp finishing detail that completes a more considered, well worked, look. I bought my 1973 Series 3 E in 1996 at an auction in London - she had been an export car to Australia, brought back by an English aristocrat who kept her on his estate and never put her on the road in the UK. The first time I washed her, the aristo’s coat of arms peeled off. I have reinstated the original Series 1 headlight covers and proper knock-off hubs. She is a great car to drive: comfortable, tight, responsive and fun. People stop on major roads to let you out of the side streets; every British driver is proud of this car. It is hard to stop smiling when behind the wheel and that feeling is infectious. I am sure my fondness for this design has permeated my own work, where fluid, athletic, feminine forms lie alongside hard, crisp details. From Pelorus to Event to Symphony I can feel and see the influence. Malcolm Sayer’s creation is alive and well, both in my garage and in my work. Words by Adam Lay My parents bought this Yamaha YAS-32 saxophone for me in 1988 when I was 16. I have played it, not practised when I should have done, dented it, scratched it and loved it for 27 years. I rarely play now because I don’t have the time but I will always treasure it. My music teacher at school encouraged me to play the flute because my hands weren’t big enough to operate saxophone keys. The flute was the antithesis of the saxophone, which I saw as the coolest of all instruments, but I acquiesced. I played my flute in a concert band, sitting in a front row with 14 girls. The coolest guys were in the sax section behind, ribbing me endlessly about being “one of the girls”. As soon as my hands were big enough my parents bought this Yamaha alto saxophone from Jack and Lindsay Dawkes, in Uxbridge (west London). I insisted on the padded saxophone-shaped case, instead of the hard rectangular case, because it looked cooler. The 32 is a poor relation of the Yamaha YAS-62, which is a professional model, but it sounds and plays in almost exactly the same way, without all the traditional scrolls and twiddly bits added. It’s a functional, contemporary design – simple, much like my own design philosophy. The keys have little rollers to make your fingers glide more easily over them. It’s a wonder that something so restricted by the proportions of the human anatomy and so “mechanical” can be so beautiful. I played for the same concert band and, to my shame, teased the male flautist who took my place. In time the sax opened doors to spin-off bands playing swing and big band music. When the whole sax section is tight and together in a swing band, or when the brass section is putting stabs into funk music, it makes the hair on the back of my neck stand up. 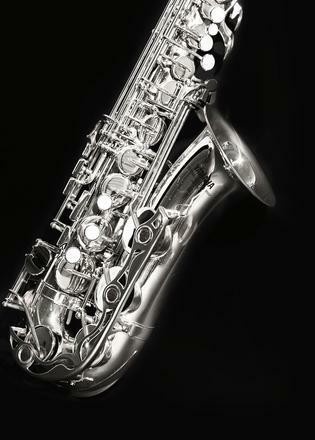 My parents bought this Yamaha YAS-32 saxophone for me in 1988 when I was 16. 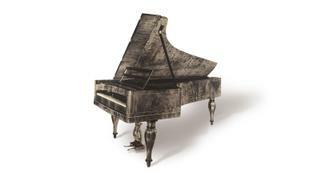 I have played it, not practised when I should have done, dented it, scratched it and loved it for 27 years. I rarely play now because I don’t have the time but I will always treasure it. My music teacher at school encouraged me to play the flute because my hands weren’t big enough to operate saxophone keys. The flute was the antithesis of the saxophone, which I saw as the coolest of all instruments, but I acquiesced. I played my flute in a concert band, sitting in a front row with 14 girls. The coolest guys were in the sax section behind, ribbing me endlessly about being “one of the girls”. As soon as my hands were big enough my parents bought this Yamaha alto saxophone from Jack and Lindsay Dawkes, in Uxbridge (west London). I insisted on the padded saxophone-shaped case, instead of the hard rectangular case, because it looked cooler. The 32 is a poor relation of the Yamaha YAS-62, which is a professional model, but it sounds and plays in almost exactly the same way, without all the traditional scrolls and twiddly bits added. It’s a functional, contemporary design – simple, much like my own design philosophy. The keys have little rollers to make your fingers glide more easily over them. It’s a wonder that something so restricted by the proportions of the human anatomy and so “mechanical” can be so beautiful. I played for the same concert band and, to my shame, teased the male flautist who took my place. In time the sax opened doors to spin-off bands playing swing and big band music. When the whole sax section is tight and together in a swing band, or when the brass section is putting stabs into funk music, it makes the hair on the back of my neck stand up. Words by Martin Francis When I first visited Venice with my parents in the mid-1950s I took a photo of a fórcola, the rowlock of a gondola. I still have the picture in my archives. 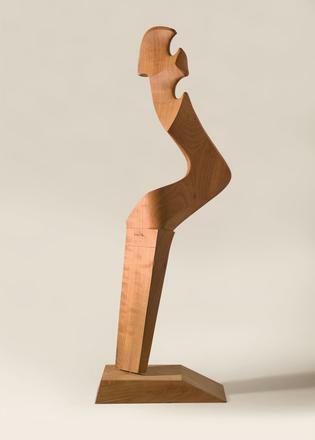 Perhaps my interest in the shape, which then appeared completely abstract, stemmed from the fact that my mother, having moved from the stuffy Royal College of Art to the more dynamic Chelsea School of Art, had studied sculpture with a bright young teacher called Henry Moore. On returning to Venice many years later, I met the master craftsman Saverio Pastor, who makes oars and fórcole for all the traditional boats on the Venetian Lagoon. I acquired the first fórcola in my now bountiful collection and made a new friend. This example is a stern fórcola da puparìn. The puparìn is the most elegant of the sandoli (work boats) originally designed to transport rich Venetian families. It is the perfect combination of function and form, every part has a purpose – high gear, low gear, reverse – and the whole piece puts even Henry Moore in the shade. It is carved from a single piece of walnut using traditional hand-tools like the adze and draw knife. Having started my career as a cabinetmaker I am filled with nostalgia every time I make my pilgrimage to Pastor in his small workshop on the canal in the Dorsoduro district. He is a passionate supporter of traditional craftsmanship and has one apprentice – I’m often tempted to ask him if he would like another. Since every type of vessel has two fórcole, and there are at least nine boat types, I have many more visits in store, whether or not I’m on the payroll. When I first visited Venice with my parents in the mid-1950s I took a photo of a fórcola, the rowlock of a gondola. I still have the picture in my archives. Perhaps my interest in the shape, which then appeared completely abstract, stemmed from the fact that my mother, having moved from the stuffy Royal College of Art to the more dynamic Chelsea School of Art, had studied sculpture with a bright young teacher called Henry Moore. On returning to Venice many years later, I met the master craftsman Saverio Pastor, who makes oars and fórcole for all the traditional boats on the Venetian Lagoon. I acquired the first fórcola in my now bountiful collection and made a new friend. This example is a stern fórcola da puparìn. The puparìn is the most elegant of the sandoli (work boats) originally designed to transport rich Venetian families. It is the perfect combination of function and form, every part has a purpose – high gear, low gear, reverse – and the whole piece puts even Henry Moore in the shade. It is carved from a single piece of walnut using traditional hand-tools like the adze and draw knife. Having started my career as a cabinetmaker I am filled with nostalgia every time I make my pilgrimage to Pastor in his small workshop on the canal in the Dorsoduro district. He is a passionate supporter of traditional craftsmanship and has one apprentice – I’m often tempted to ask him if he would like another. Since every type of vessel has two fórcole, and there are at least nine boat types, I have many more visits in store, whether or not I’m on the payroll. Words by _Marnix Hoekstra, co-creative director at Vripack_ Both I and Bart, my co-creative director at Vripack, owned the Sony Sports Walkman when we were teenagers. We didn’t know this about each other until we met years later. But it shows our tastes were aligned even then! It finally allowed you to bring your tunes to the water. That was amazing for guys like us, who loved sailing and surfing. It was splash-proof, so you didn’t need to wrap it in plastic bags (something we both did with previous Walkmans). And, of course, it was super cool in the late 1980s because it was bright yellow. It was chunky, tough, with this big clip on the side that you had to lift over the rubber seal that kept it waterproof. We loved it. You really wanted to wear it on your belt where everyone could see it. I got my Sports Walkman when I was 15, in 1991. I was earning some money cleaning boats. In my little village there was one store where you could buy electronics and I remember going week after week. Finally, after a few weeks, I had enough to buy it. I took it on my first major crossing, a tall ships race from Aberdeen to Helgoland, an island north of Germany. On the night-watch I listened to my Walkman, looking over the sea. I felt very wise and mature. It brings back memories just looking at it, but also makes you realise how fast we move to new technologies. It is a great symbol of how a good design can be super successful when the timing is right, and how swift that moment is gone. Both I and Bart, my co-creative director at Vripack, owned the Sony Sports Walkman when we were teenagers. We didn’t know this about each other until we met years later. But it shows our tastes were aligned even then! It finally allowed you to bring your tunes to the water. That was amazing for guys like us, who loved sailing and surfing. It was splash-proof, so you didn’t need to wrap it in plastic bags (something we both did with previous Walkmans). And, of course, it was super cool in the late 1980s because it was bright yellow. It was chunky, tough, with this big clip on the side that you had to lift over the rubber seal that kept it waterproof. We loved it. You really wanted to wear it on your belt where everyone could see it. 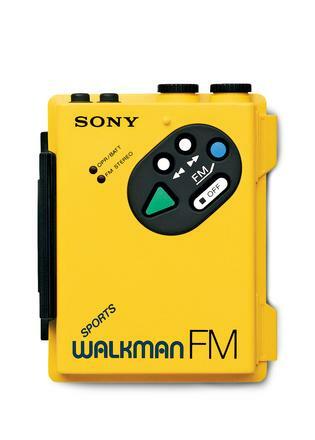 I got my Sports Walkman when I was 15, in 1991. I was earning some money cleaning boats. In my little village there was one store where you could buy electronics and I remember going week after week. Finally, after a few weeks, I had enough to buy it. I took it on my first major crossing, a tall ships race from Aberdeen to Helgoland, an island north of Germany. On the night-watch I listened to my Walkman, looking over the sea. I felt very wise and mature. It brings back memories just looking at it, but also makes you realise how fast we move to new technologies. It is a great symbol of how a good design can be super successful when the timing is right, and how swift that moment is gone. Words by _Jonny Horsfield, of H2 Yacht Design_ This Rolex GMT-Master is definitely a “he”. He is 25 years old, goes everywhere with me and always gets me to a meeting or airport gate early because he runs fast (very un-Swiss). I have worn him virtually every day for 25 years with only one service. Even the strap is original. I spent my first few years in this industry admiring the watches strapped to every captain, broker or owner and thought, one day I, too, will have a Rolex. Not gold, platinum or anything too flamboyant, because I know my place in the food chain. 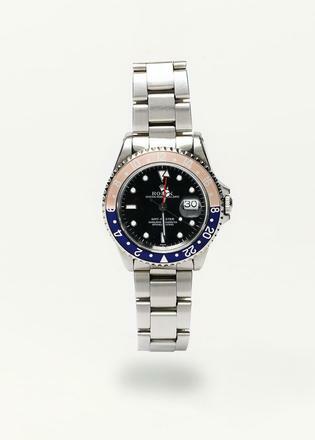 The GMT-Master in stainless steel hit the spot for me. Conceived in the 1950s as a workhorse for Pan Am pilots, it has an honest “form follows functionality” look that I admired 25 years ago and which seems even more relevant now. It has a fourth hand that enabled crews to set the watch to two time zones simultaneously. Brilliant and simple. It is hard wearing and its smaller size makes it easy to wear. Fidel Castro and Pablo Picasso both had one. I still remember the moment at Heathrow Airport when I put mine on for the first time. Whenever I look at it I recall that young designer desperate to succeed. I guess it symbolises a turning point in my career. Only two things about the watch have surprised me. The first is that he would now be worth double what I paid back in 1990 and the second is that I have never lost him. This Rolex GMT-Master is definitely a “he”. He is 25 years old, goes everywhere with me and always gets me to a meeting or airport gate early because he runs fast (very un-Swiss). I have worn him virtually every day for 25 years with only one service. Even the strap is original. I spent my first few years in this industry admiring the watches strapped to every captain, broker or owner and thought, one day I, too, will have a Rolex. Not gold, platinum or anything too flamboyant, because I know my place in the food chain. The GMT-Master in stainless steel hit the spot for me. Conceived in the 1950s as a workhorse for Pan Am pilots, it has an honest “form follows functionality” look that I admired 25 years ago and which seems even more relevant now. It has a fourth hand that enabled crews to set the watch to two time zones simultaneously. Brilliant and simple. It is hard wearing and its smaller size makes it easy to wear. Fidel Castro and Pablo Picasso both had one. I still remember the moment at Heathrow Airport when I put mine on for the first time. Whenever I look at it I recall that young designer desperate to succeed. I guess it symbolises a turning point in my career. Only two things about the watch have surprised me. The first is that he would now be worth double what I paid back in 1990 and the second is that I have never lost him. Words by Mario Pedol Five years ago we bought Eames aluminium chairs for our new office in Milan and I added to the order an Eames lounge chair (shown here with ottoman) for my house. They were all delivered to the office, and the lounge chair is still there! I can’t bring myself to take it home - I love to see it when I’m working. The chair is an absolute icon of industrial design and was created by Americans Charles and Ray Eames in 1956. I love it for its combination of innovation, technology and style, while its timeless elegance means it fits proudly in any environment, from a traditional gentlemen’s club to a contemporary Milan design office, and from a yacht club lounge to a chalet in the Dolomites. The three materials chosen by the Eameses - wood, leather and aluminium - evoke nature and modernity at the same time. The chair is made with three separate shells (seat, backrest and headrest) of cold-moulded wood “filled” with comfortable leather cushions that are connected to the shells by an almost-invisible zip. The shells are connected to the aluminium frame through flexible joints that enhance ergonomics and comfort, allowing the chair to adapt to the sitter. Behind its apparent simplicity lies a hidden depth of sophisticated design and a study of detail both in the production process and in the product itself. The lounge chair perfectly embodies a motto that is framed and hangs on a wall in our office and that we always keep in mind in our design practice: “Simplicity is the essence of good design”. Five years ago we bought Eames aluminium chairs for our new office in Milan and I added to the order an Eames lounge chair (shown here with ottoman) for my house. They were all delivered to the office, and the lounge chair is still there! I can’t bring myself to take it home - I love to see it when I’m working. 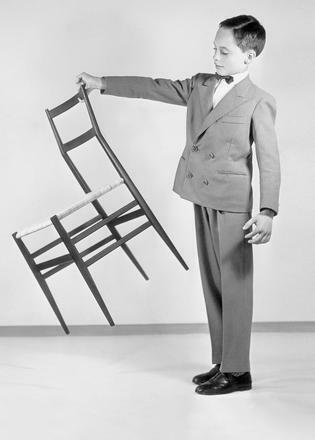 The chair is an absolute icon of industrial design and was created by Americans Charles and Ray Eames in 1956. I love it for its combination of innovation, technology and style, while its timeless elegance means it fits proudly in any environment, from a traditional gentlemen’s club to a contemporary Milan design office, and from a yacht club lounge to a chalet in the Dolomites. The three materials chosen by the Eameses - wood, leather and aluminium - evoke nature and modernity at the same time. The chair is made with three separate shells (seat, backrest and headrest) of cold-moulded wood “filled” with comfortable leather cushions that are connected to the shells by an almost-invisible zip. The shells are connected to the aluminium frame through flexible joints that enhance ergonomics and comfort, allowing the chair to adapt to the sitter. Behind its apparent simplicity lies a hidden depth of sophisticated design and a study of detail both in the production process and in the product itself. The lounge chair perfectly embodies a motto that is framed and hangs on a wall in our office and that we always keep in mind in our design practice: “Simplicity is the essence of good design”. Words by the late Ed Dubois Barographs have always appealed to me. This one lives on my classic yacht Firebrand in the summer, and then moves to my design studio when the yacht is laid up over the winter. From my earliest childhood, I remember being fascinated by their intricate yet easily understood mechanism. The fact that the British Isles are dominated by such changeable weather dependent on pressure systems sweeping across the Atlantic also makes it a handy piece of kit to keep on a yacht! Mine is a German electric model from the late 1990s made by Fischer, model Type 217MQ. I bought it new in 1999 for my yacht, so it’s robust. I have another barograph at home, which I’ve had for about 30 years, but the Fischer, with its link to my 13 metre Sparkman & Stephens yacht (built in wood by Lallows of Cowes in 1965) makes me extra fond of the instrument, and it’s always a nice reminder of sailing days. The actual design comprises a beautiful wooden case, with a practical handle on top, while the workings are painted grey. I’m sure my initial love of the sea was down to frequent visits to the Maritime Museum at Greenwich as a child, and the Royal Observatory nearby. My early fascination with navigation, yacht design, boats, ships and the way weather has a profound effect on this country and had a determining effect on Britain’s supremacy at sea, are all interrelated. In a strong way, this barograph symbolises all of that and embodies my fascination and love of all things marine. Barographs have always appealed to me. This one lives on my classic yacht Firebrand in the summer, and then moves to my design studio when the yacht is laid up over the winter. From my earliest childhood, I remember being fascinated by their intricate yet easily understood mechanism. The fact that the British Isles are dominated by such changeable weather dependent on pressure systems sweeping across the Atlantic also makes it a handy piece of kit to keep on a yacht! Mine is a German electric model from the late 1990s made by Fischer, model Type 217MQ. I bought it new in 1999 for my yacht, so it’s robust. I have another barograph at home, which I’ve had for about 30 years, but the Fischer, with its link to my 13 metre Sparkman & Stephens yacht (built in wood by Lallows of Cowes in 1965) makes me extra fond of the instrument, and it’s always a nice reminder of sailing days. The actual design comprises a beautiful wooden case, with a practical handle on top, while the workings are painted grey. I’m sure my initial love of the sea was down to frequent visits to the Maritime Museum at Greenwich as a child, and the Royal Observatory nearby. My early fascination with navigation, yacht design, boats, ships and the way weather has a profound effect on this country and had a determining effect on Britain’s supremacy at sea, are all interrelated. 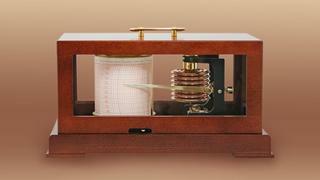 In a strong way, this barograph symbolises all of that and embodies my fascination and love of all things marine. Words by Andrew Winch, founder of Winch Design Four years ago, I decided to improve my attire. I had had a few suits made in the past, by no one in particular, but I wanted to treat myself because we were about to celebrate 25 years of Winch Design. I did my research, looked at the options, and thought that Richard James was the best fit for me. His cut was comfy, the suits were not too flamboyant but, at the same time, they were individual: I did want to stand out. 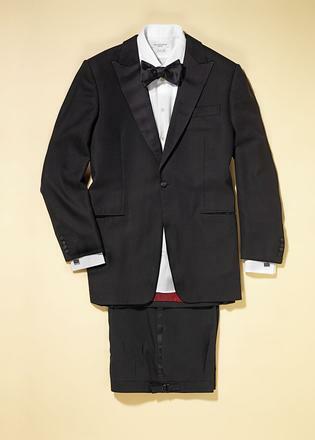 The first suit I had made was a black-tie outfit for the anniversary party itself, which we held in Mayfair. When the tailor came to measure me, a wonderfully old-school character, I realised what my clients must feel like when I design them a yacht. When he said that I needed a slightly longer cuff, I trusted him and found that I really loved having something custom-made to me. When I wear that suit I stand straighter, I feel like I have a better physique and I feel empowered. No one has the perfect body, but it is a wonderful feeling when you put something on and feel proud. I have now had four suits made by Richard James. The next one was for presentation meetings, in a Prince of Wales check, and I wore it recently to pitch for my biggest project yet. When I met the owner, the first thing he said was: “That’s a lovely suit.” It made him feel that he was talking to someone who cared about aesthetics. I got the job and I like to think that when I finish it next year and he sees his yacht in the yard, he will feel like I do when I wear one of my bespoke suits. Four years ago, I decided to improve my attire. I had had a few suits made in the past, by no one in particular, but I wanted to treat myself because we were about to celebrate 25 years of Winch Design. I did my research, looked at the options, and thought that Richard James was the best fit for me. His cut was comfy, the suits were not too flamboyant but, at the same time, they were individual: I did want to stand out. The first suit I had made was a black-tie outfit for the anniversary party itself, which we held in Mayfair. When the tailor came to measure me, a wonderfully old-school character, I realised what my clients must feel like when I design them a yacht. When he said that I needed a slightly longer cuff, I trusted him and found that I really loved having something custom-made to me. When I wear that suit I stand straighter, I feel like I have a better physique and I feel empowered. No one has the perfect body, but it is a wonderful feeling when you put something on and feel proud. I have now had four suits made by Richard James. The next one was for presentation meetings, in a Prince of Wales check, and I wore it recently to pitch for my biggest project yet. When I met the owner, the first thing he said was: “That’s a lovely suit.” It made him feel that he was talking to someone who cared about aesthetics. I got the job and I like to think that when I finish it next year and he sees his yacht in the yard, he will feel like I do when I wear one of my bespoke suits. Words by Rob Doyle I remember seeing my first Leatherman multi-tool as a teenager in the 1980s, watching how the professional sailors solved any problem with a Leatherman, duct tape and a hammer. I needed to have my own. Over the years I’ve owned a few, each version improving on earlier models. I love my current Leatherman, which I’ve had since 2007, for its basic functionality. 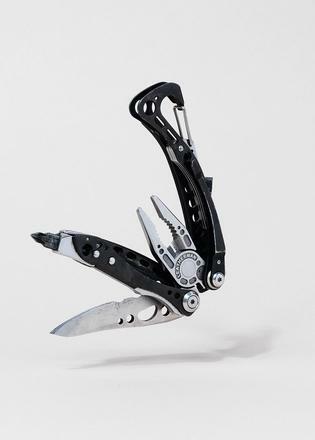 The Skeletool CX is a third generation of the multi-tool and represents a total rethink on the philosophy: you don’t need 15 tools, just the basic ones that you use the most. It was clever and brave of the manufacturer to take away functions while other brands were adding more. It is beautifully crafted: low weight, a compact design and a comfortable fit in the hand. It is a joy to look at its dense engineering and a pleasure to hold. As a naval architect and designer, I appreciate the balance between styling, engineering and materials. This deep understanding of what can and can’t work has protected me from presenting unrealistic concepts. It’s not “it can’t be done,” rather “it’s not the right time for that idea”. I always have my Leatherman with me; it gives me a peace of mind knowing that I have a knife, screwdriver and pliers ready. Has it ever saved the day? Yes, a million times: from fixing one of the kids’ toys before they go thermonuclear, to cutting a jammed line in a block while under load. It’s never celebrated but the one time you forget it will be the one time you really miss it. I remember seeing my first Leatherman multi-tool as a teenager in the 1980s, watching how the professional sailors solved any problem with a Leatherman, duct tape and a hammer. I needed to have my own. Over the years I’ve owned a few, each version improving on earlier models. I love my current Leatherman, which I’ve had since 2007, for its basic functionality. The Skeletool CX is a third generation of the multi-tool and represents a total rethink on the philosophy: you don’t need 15 tools, just the basic ones that you use the most. It was clever and brave of the manufacturer to take away functions while other brands were adding more. It is beautifully crafted: low weight, a compact design and a comfortable fit in the hand. It is a joy to look at its dense engineering and a pleasure to hold. As a naval architect and designer, I appreciate the balance between styling, engineering and materials. This deep understanding of what can and can’t work has protected me from presenting unrealistic concepts. It’s not “it can’t be done,” rather “it’s not the right time for that idea”. I always have my Leatherman with me; it gives me a peace of mind knowing that I have a knife, screwdriver and pliers ready. Has it ever saved the day? Yes, a million times: from fixing one of the kids’ toys before they go thermonuclear, to cutting a jammed line in a block while under load. It’s never celebrated but the one time you forget it will be the one time you really miss it.